Michael Gibbert is an Assistant Professor at the Institute for Business Management at Bocconi University in Milan. Prior to joining the faculty at Bocconi, he held appointments at Stellenbosch, INSEAD, Yale, and St. Gallen, where he also studied for his Ph.D.
Thomas Durand is professor of business strategy at Ecole Centrale Paris where he heads the “Technology & Strategy » research lab. He is also Chairman of CM International, a management consultancy with 40 staff in offices in Paris, Cardiff and Madrid. Introduction: Thomas Durand (Ecole Centrale Paris) and Michael Gibbert (Bocconi University). 1. Knowledge Types and Knowledge Management Strategies: Hari Bapuji (University of Manitoba) and Mary Crossan (Richard Ivey School of Business, University of Western Ontario). 2. Learning to Compete or Struggling to Survive? Objectives and Outcomes of Scale and Link Alliances: Pierre Dussauge, Xavier Castañer, and Bernard Garrette (all HEC School of Management, Paris). 3. Teaching in Supplier Networks: Lars-Erik Gadde (Chalmers University of Technology, Gothenburg) and Håkan Håkansson (Norwegian School of Management, Oslo). 4. On the Challenges of Buyer–Supplier Collaboration in Product Development Projects: Stephan M. Wagner and Martin Hoegl (both WHU – Otto Beisheim School of Management). 5. Observing the Learning Process in an Interfirm Team: Thomas Durand (Ecole Centrale Paris). 6. Consocia et impera: How French and Italian Fabric Producers Cooperate to Conquer the “Dominant Design” in the Fashion Industry: Diego Rinallo, Francesca Golfetto, and Michael Gibbert (all Bocconi University). 7. Online Social Networks and Knowledge Exchange: Siyuan Huang (Fuqua School of Business, Duke University) and Gerardine DeSanctis (late of Fuqua School of Business, Duke University). 8. Bramble Bushes in a Thicket: Narrative and the Intangibles of Learning Networks: Cynthia F. Kurtz and David J. Snowden (both Cognitive Edge). 9. Competing and Collaborating in Networks: Is Organizing Just a Game? Max Boisot (INSEAD) and Xiaohui Lu (Wharton School). 10. Networks, and Some Limits to Managing Them: J. C. Spender (Leeds University Business School). 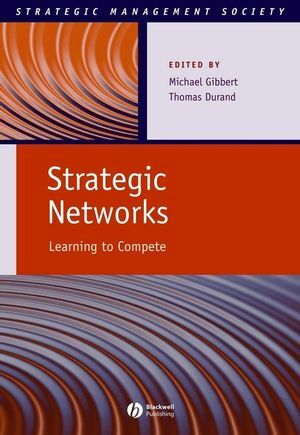 Explores the creation of 'learning networks' as a way for businesses to understand and learn from their competitors.